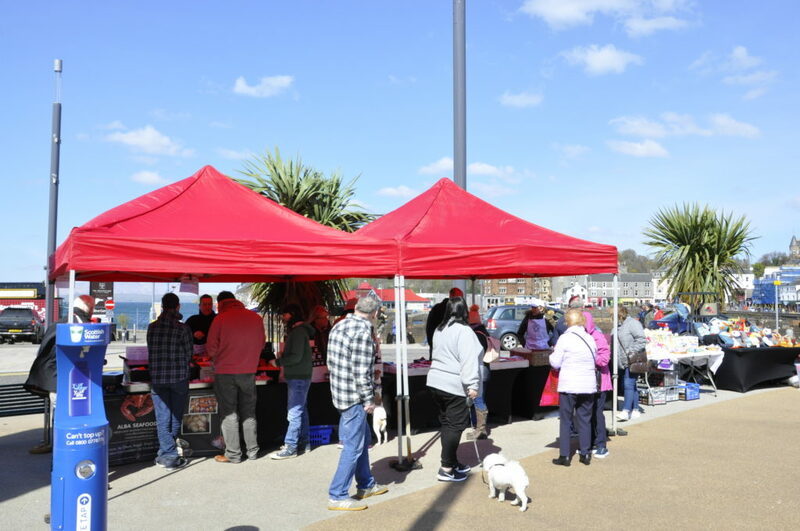 Vendors were blessed with blue skies on Saturday at the first Oban town market of the year. Now in its third year, the monthly event is organised by BID4Oban and runs from April until September. 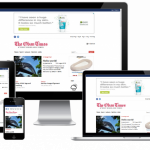 Produce such as meat and seafood, as well as arts and crafts, can be purchased on the day. 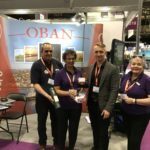 Andrew Spence, chief executive of BID4Oban, said: ‘Trade was brisk with locals and visitors taking advantage of some of the great range of goods on display. ‘The sun shone but it was very windy. 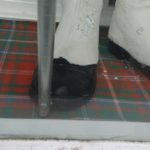 This is the third year that BID4Oban has organised town markets and there were new vendors who have joined the market. The market will return on May 25 at Oban’s Station Square.